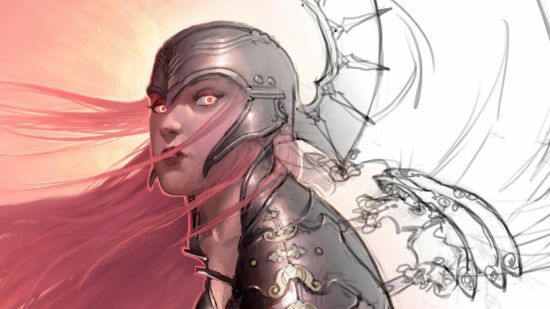 Join illustrator Clint Cearley as he takes you through the creation process of the image Aurora created for Legends of the Cryptids. From reading the brief and rough sketches to lighting and color choices you’ll even have a look at mistakes made and discuss how they should have been handled. Composition, character design and value schemes are also discussed. Feel free to post your Making Aurora Painting Process-P2P torrent, subtitles, samples, free download, quality, NFO, rapidshare, depositfiles, uploaded.net, rapidgator, filefactory, netload, crack, serial, keygen, requirements or whatever-related comments here. Don't be rude (permban), use only English, don't go offtopic and read FAQ before asking a question. Owners of this website aren't responsible for content of comments.